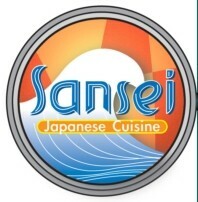 SANSEI JAPAN is one of the leading Japanese restaurant chains. Regardless of your appetite, our variety will satisfy whatever you crave. Quality, taste and service are our priority for every customer. Whether you dine in or take your food to go, everything is made to order. Having a gathering? We have party trays to spark up your event's spirit. Come and visit our stores. We are more than happy to serve you!